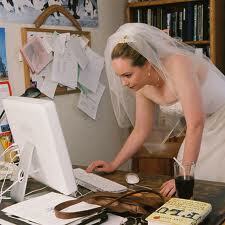 All work and no play = stressed bride. Enjoy the holiday on Monday! Happy Friday! Before the super-busy fall wedding season kicks into high gear, we have a little reprieve coming up: Labor Day! Both Stardust Celebrations and LuLu’s Bridal Boutique will be closed on Monday so we can rest up to hit the ground running on Tuesday (hello, September!). Be sure to check out our amazing line-up of trunk shows this season. Sigh…so many gorgeous gowns, so little time! Speaking of gorgeous gowns, don’t forget our incredible special event showcasing the complete collection of stunning bridal gowns from celebrity favorite Amanda Wakeley. This is a limited engagement so be sure to make your appointment now to see the full line before the showcase ends. Lovely brides, be sure you also take a break on Monday, our last hurrah of summer. See you soon and happy planning! 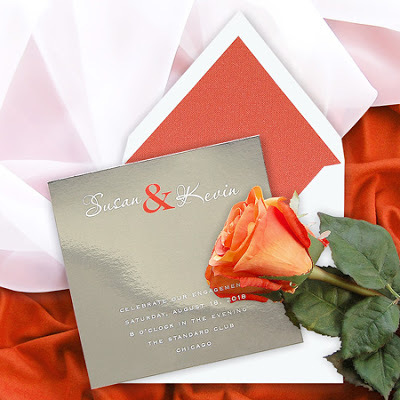 As we shared with you here, we selected several fabulous new offerings during our adventure to the National Stationery Show in New York this summer. 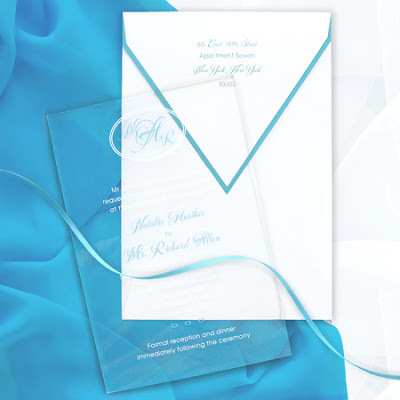 One of our new invitation lines we are just crazy for is C’est Papier. 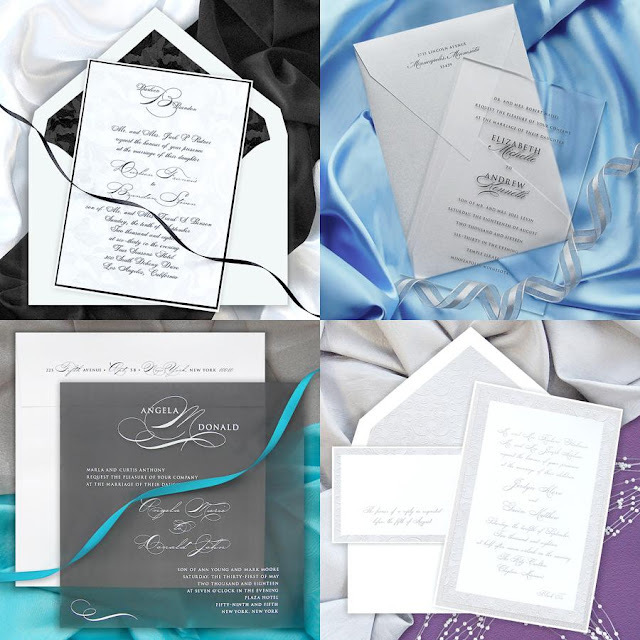 A staple in the industry for more than 30 years, C’est Papier, Inc. is a family-owned operation that prides itself on impeccable workmanship, gorgeous papers and liners and cutting edge design. As they should! 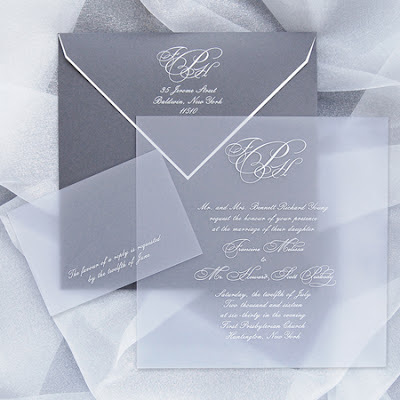 Reflective silver mirri paper makes a statement! 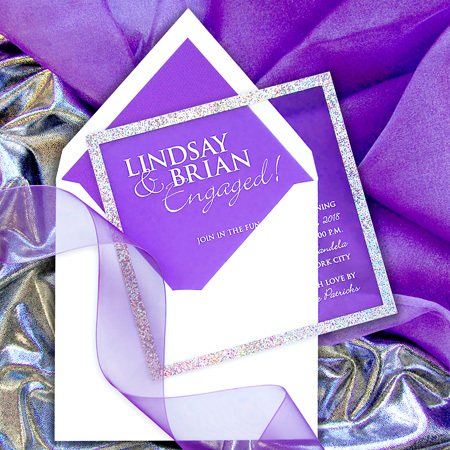 This “ice” invitation features a sparkle foil border – so festive! 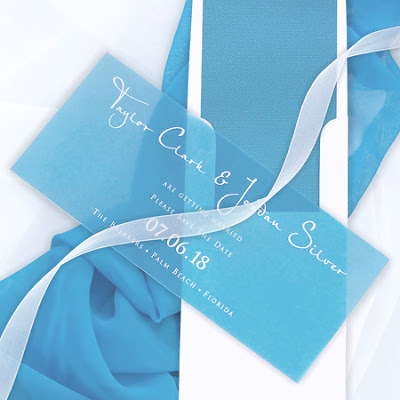 From save-the-dates and invitation suites to invites for showers, parties and rehearsal dinners, we are sure to meet your wedding-related stationery needs! Our papier-loving invitation experts are excited for you to come by our stationery studio at Stardust Celebrations to take in all of these paper beauties. Stardust Celebrations invites you to a special showcase featuring the gorgeous new bridal gown collection from world renowned designer Amanda Wakeley. This limited engagement begins Wednesday, August 29, and will allow you to shop the full stunning Sposa Bridal Collection in our Stardust Bridal Salon, the exclusive retailer for this line in the southwestern US. Call 972.781.1619 now for your appointment to ensure you don’t miss this incredible opportunity. Luxury. Elegance. Sophistication. With such words tied to her designs again and again, Amanda Wakeley is known for dressing royalty, models, athletes and celebrities such as the Duchess of Cambridge, Venus Williams, Scarlett Johansson, Charlize Theron and countless others. But she is also known for creating designs that are ideal for all women. Now the award-winning British designer has brought her design philosophy of “Innovative, naturally elegant, wearable luxury. Simple ideas expressed strongly.” to the bridal industry. Twenty years ago, Amanda Wakeley launched her own signature label and since then has developed a reputation for beautiful, sophisticated and luxurious designs that suit all ages and body types. Her latest collection – the Sposa Bridal Collection – offers contemporary glamour and is always body enhancing with a luxurious use of fabrics, perfection of cut and attention to craftsmanship. Stardust Celebrations is delighted to be the only bridal salon in the southwestern US to carry these stunning gowns. At long last, our blog matches our beautiful website, and we are thrilled about the change. We just adore our new face and name, and we hope you do, too! You can continue to keep up with Stardust by liking us on Facebook, subscribing to our blog, following us on Twitter or checking us out on Pinterest. You’ll stay up-to-date on all of our exciting events and trunk shows, get great wedding planning advice and info on the hottest trends and of course, the scoop on the latest fashions for the entire wedding party! 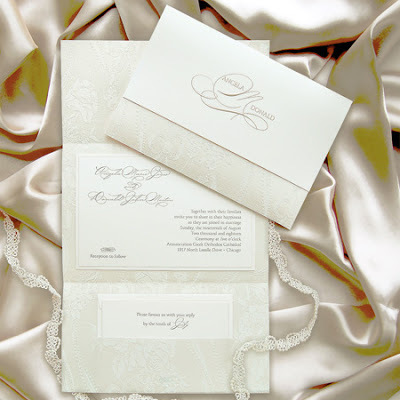 Lovely Lace: Perfect for Brides AND Bridesmaids! It cannot be said enough – we simply LOVE lace! There is something just so beautiful, fresh, elegant and feminine about it. Lace has been a leading trend at bridal market the past two seasons (read more about that here and here). And while it is a given that lace can be bridal, it can also be incredibly stylish for your bridesmaids! We have started receiving the fall 2012 collections featuring the cutest lace gowns from some of our wonderful designers. Check out these stunners by Watters. This collection features styles with floral-inspired names, and the dresses are available with options in six lace colors and more than 25 colors of lining! Watters even offers a few separates pieces in this line. Yes, these are beautiful and come in a vast selection of colors for your girls. BUT, these little lacy numbers are also great multi-taskers because they are perfect for you – for engagement parties, showers, your rehearsal dinner or as a going away dress! 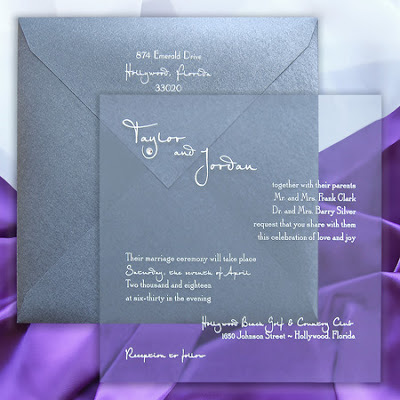 Watters isn’t the only designer leading with this fabulous design element. 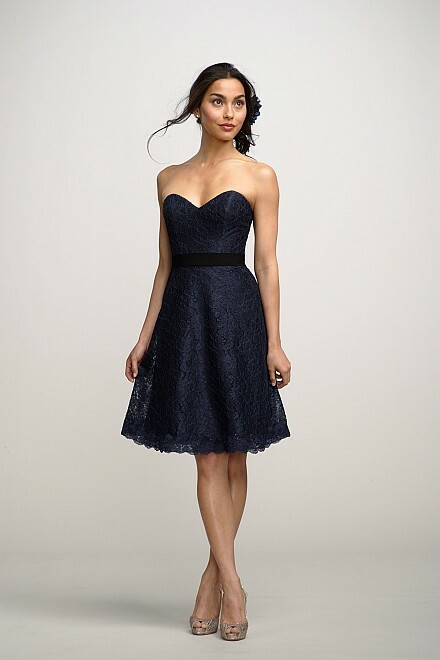 Both Alvina Valenta and Noir by Lazaro have presented several fabulous lace gowns. Look at these beauties. We hope to see you soon in our beautiful Stardust salon, exploring ways to incorporate lace into your wedding! Please feel free to call or come by to visit our bridesmaid experts with any questions on these lovely lace gowns!